18 Jan Strokes in children. It’s more common than you think. When people hear the word “stroke,” they immediately view it as an adult condition. However, strokes are very common in children and can cause long-term issues including physical disabilities, speech and learning difficulties. Paediatric strokes are more common than you think and our paediatric physiotherapists treat many children who have suffered a stroke at St Leonards Physiotherapy. Recently, there have been new guidelines for the diagnosis and acute management of childhood strokes. These guidelines were developed by various groups including the Murdoch Children’s Research Institute, the Government of Western Australia Child and Adolescent Health Service, and the University of Melbourne. A stroke occurs when the blood supply to the brain is interrupted. There are two common types of strokes. An ischaemic stroke is caused by a blood clot in the brain that can plug or block a blood vessel. Haemorrhagic strokes result from the rupturing of a blood vessel in or on the brain that causes a blood clot. In adults, causes can be determined, as certain factors like smoking, diabetes, and obesity can play a role. For children, however, there isn’t any strong evidence for why the stroke occurred. Many children who suffer from a stroke were previously healthy. For both adults and children, time is of the essence to reduce the impact of a stroke with early intervention and rapid treatment required to restore that blood supply as quickly as possible. There are many common signs of stroke in children and teens, including memory loss, trouble with school work, headaches, change in behaviour, seizures, weakness or paralysis on one side of the body, and trouble swallowing. Signs of stroke in infants can also be seen, but a little more difficult to notice compared to children and teens. 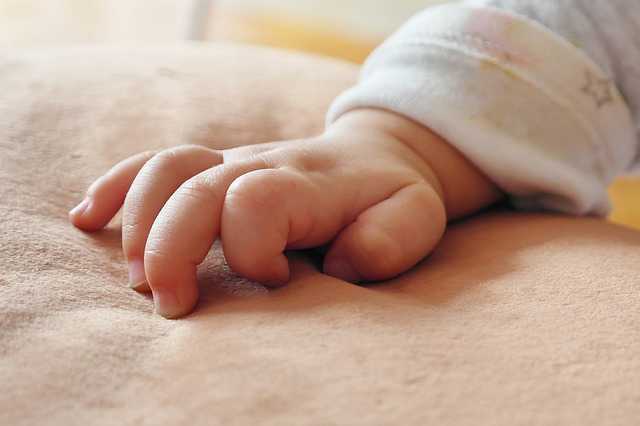 Parents must check to see if their infants have an early preference for use of one arm, a late development in turning, seizures, and problems with eating and breathing. If a child seems to display having one or more these symptoms, you should take your child to a hospital. The challenge with stroke diagnosis is when “stroke-like” symptom is caused by a different condition. These symptoms could be the result of a different condition, such as a traumatic brain injury or infections in the central nervous system. This is why a child must be brought to a professional, and also why the diagnosing process can take some time. One major method doctors use for diagnosis is neuroimaging. Pictures of the brain are taken for further examining. Doctors are able to use neuroimaging to see any inflamed areas of the brain that would be causing the stroke. Physiotherapy is an important part of the recovery process from a Paediatric stroke. Cerebral Palsy can often be caused by a stroke in utero and the associated physical disabilities can be helped through on-going rehabilitation. With a Paediatric stroke, it’s important to understand that recovery and treatment can take years. Whilst improvements can be made quite quickly, subtle improvements can take time and on-going physiotherapy can be required to maintain muscle strength. When considering Physiotherapy, it’s important that the practitioner has both the experience of working with children and the expertise in having worked with conditions that have been caused by a stroke. At St Leonards Physiotherapy we offer group exercise as well as Paediatric Aqua Therapy to help us achieve positive outcomes for patients. If your child has suffered from a stroke and you are considering physiotherapy, please feel free to contact the practice on 02 9438 1782 or fill out our new patient enquiry form and one of our paediatric physiotherapists will be in touch to discuss your situation.